Recommended for up to 55 inch tv screens including curved screens. Perfect for the corner of a room. 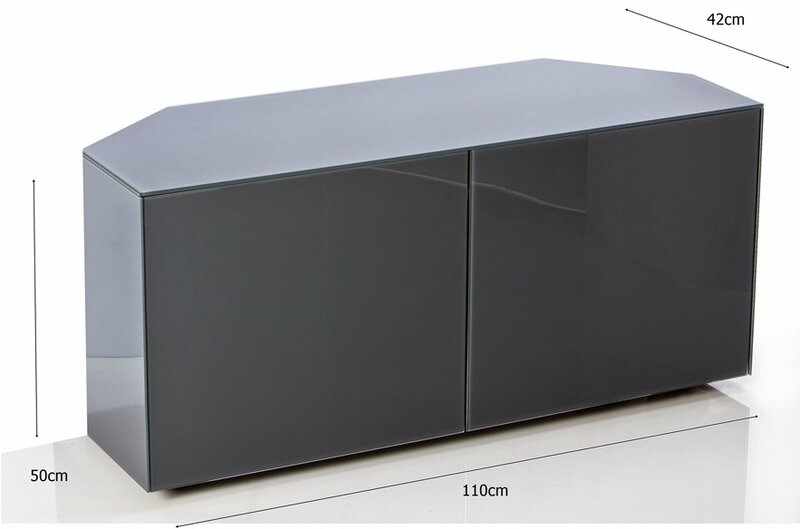 A contemporary corner unit design delivering a striking balance in design. The Frank Olsen Intelligent eye remote control manager. The doors of the furniture are solid construction with a high gloss glass front, there is no compromise in the design by using beam thru printed glass. 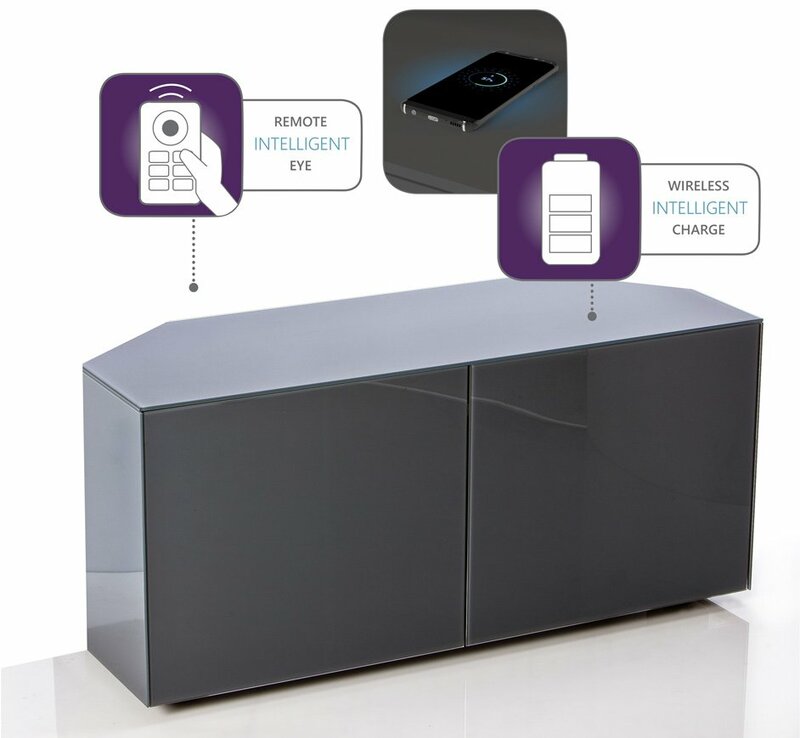 The Intelligent eye system enables the use of up to 6 pieces of AV equipment to be operated as normal by the standard remote controls with the doors closed and all equipment out of sight. 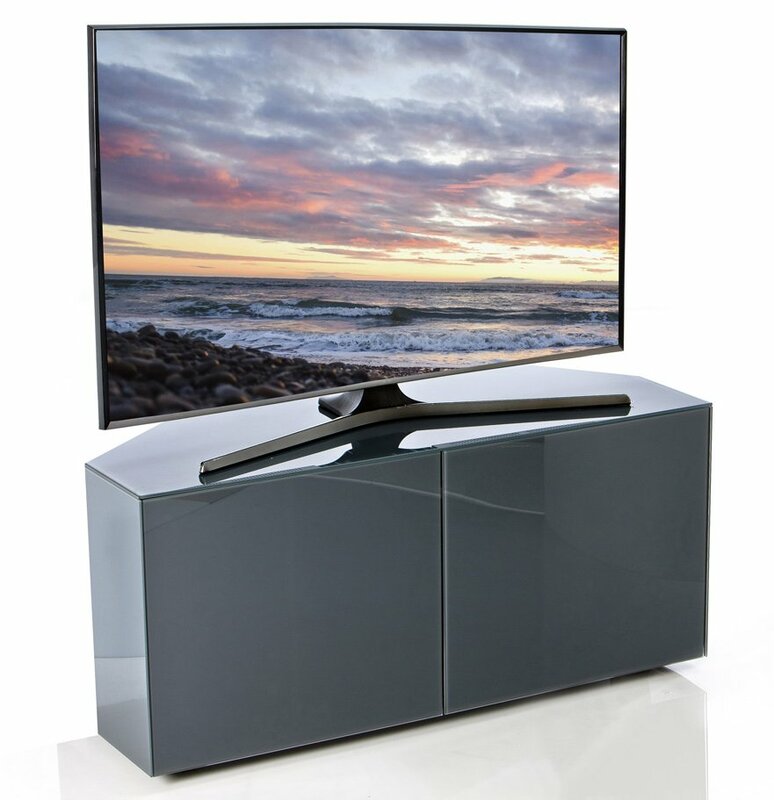 With this feature, the stunning design will not be ruined by seeing what is inside to watch the TV. High gloss toughened glass top, sides and doors (unless wood veneer doors) for a consistent high quality clean line of design. Fantastic storage capacity. 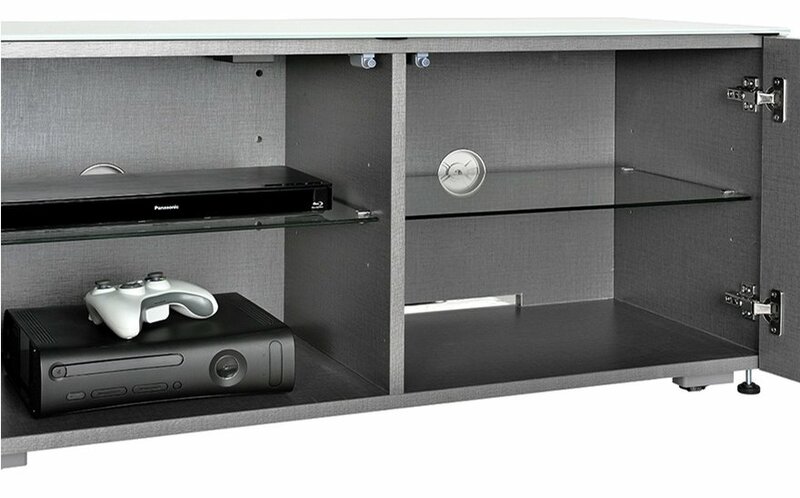 Perfect for the family with AV accessories, streaming services etc and importantly, plenty of storage for magazines, books, games and the family things we all seem to need somewhere to tidy away and hide from sight. 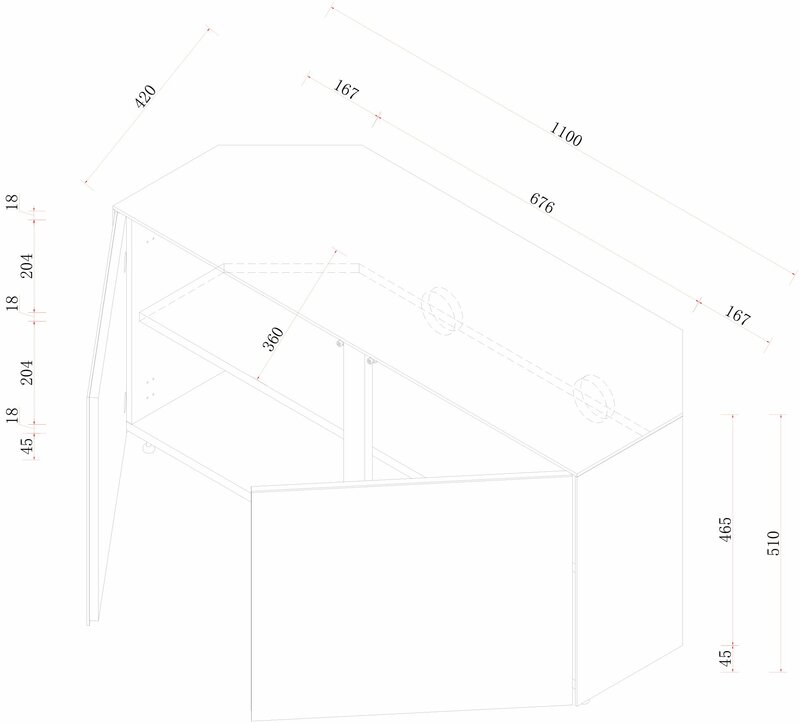 Supplied flat packed for easy home assembly. Supported by a 12 month manufacturer warranty.